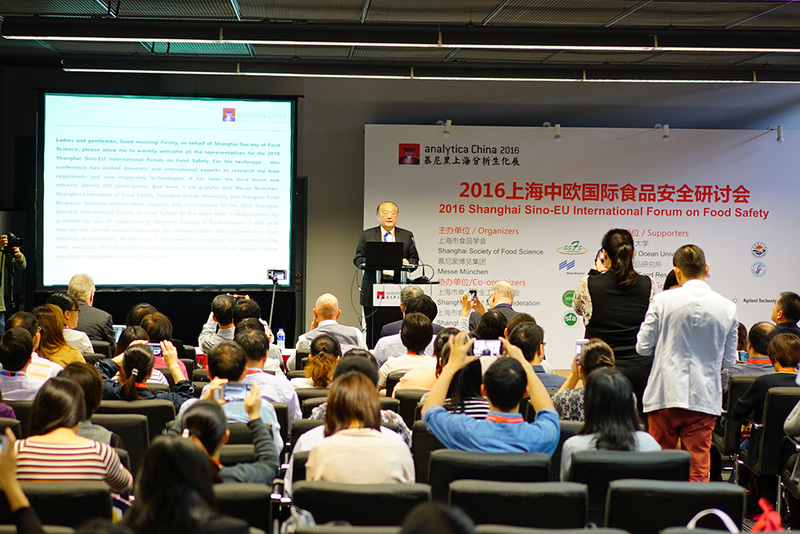 On October 12, 2016, the eighth edition of analytica China closed successfully at the Shanghai New International Expo Center. 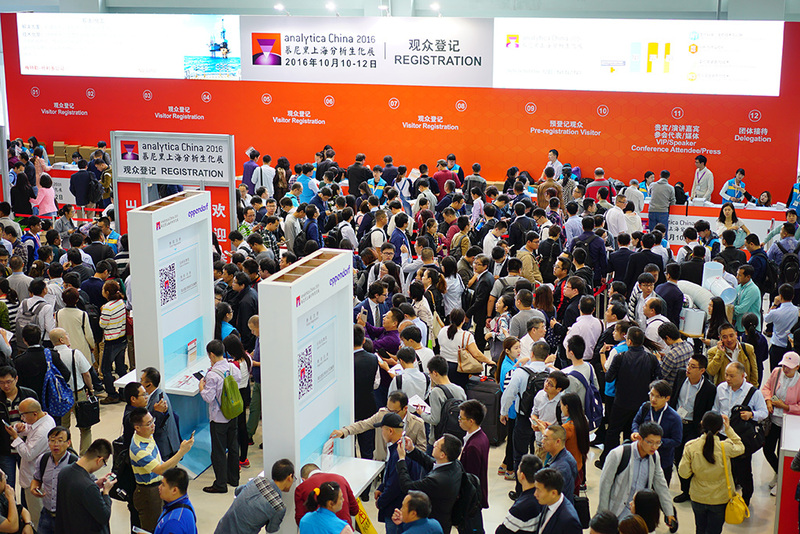 A total of 24,582 (including CBB 2016 visitors) professional instrument users, scientists and researchers, a plus of 31 percent compared to the 2014 edition (2014: 18,775), visited the trade show, again profiling the leading position of analytica China in the laboratory technology, analysis, biotechnology and diagnostics industry. analytica China 2016 covered 35,000 square meters of exhibition space—an increase of 17 percent compared to the last event. 848 leading exhibitors (+ 22 percent) from 25 countries and districts attended the show. Again, Germany, the UK, Japan and Taiwan sent out their national or district pavilions to the exhibition. This year, many new products were launched for the first time—in the country or even in the world: PerkinElmer launched two world premier products for the first time to the global market at its “drive innovation, explore the unknown” release conference: Qsight LC/MS/MS and the upgraded Torion T-9; Shimadzu came up with the LCMS-8060 ultra-fast triple quadrupole Liquid Chromatograph Mass Spectrometer; Analytik Jena held a life sciences new product conference and launched a ContrAA®800 HR-CS AAS; IKA launched its IKA CBC 5 basic/control for the first time in China; and Agilent showcased its new intelligent, efficient, simplified and innovative Intuvo 9000. There are many others like eppendorf’s 5920R high-capacity centrifuge; Mettler’s Bench Smart 96 and MP80 full automatic sliding melting point measuring instrument; or Merieux’s GENE-UP® PCR-based molecular diagnostic system. These product breakthroughs can be used in important areas related to human well-being as food safety testing, environmental monitoring, as well as medicine R&D and so on. Since its first opening in 2002, the food processing industry has always been one of the focal points of analytica China. This year, apart from new products and technologies, analytica China collaborated with leading exhibitors such as Agilent, PerkinElmer and Thermo Fisher and with industry organizations and users to set up a “Food Safety Day” including events like a CEO talk, the Sino-EU Food Safety Forum as well as Live Presentations and a visitor tour on the subject of food safety. The program covered the entire value chain of the industry and featured insightful expert talks on food safety, offering strong support to the development of this field. For the first time ever, analytica China 2016 introduced a special show on lab safety and health, originated from its German parent fair analytica. Experts from asecos gave live presentations on “Lab fire prevention and explosive treatment”, “Safe handling of dangerous materials” and “Protect you and your employee from health risks” to offer the audience practical tips on how to react in face of danger. Further, leading lab construction enterprises and experts gave talks on lab construction and smart lab management. Apart from the exhibition, high-profile academic events have always been the highlight of analytica China. In 2016, the analytica China conference concentrated on technological applications and solutions, offering the visitors not only insights into the latest academic research findings but also the latest industry and product information. The conference provided over 100 expert lectures on current topics such as food safety, analytical chemistry, environment and pharmacy. 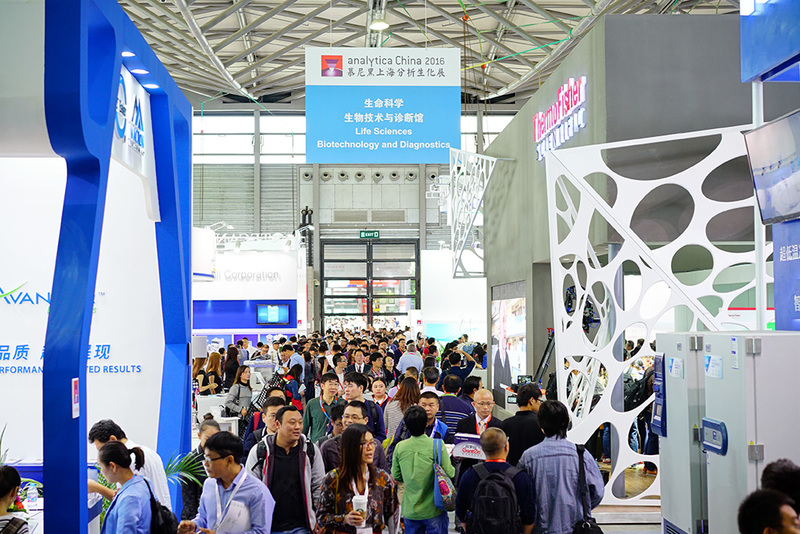 3,323 visitors from different fields attended the analytica China conference, an increase of 41 percent compared to the 2014 edition. Another highlight was the concurrence of analytica China and China Brew China Beverage (CBB). CBB is Asia’s leading trade fair for the beverage and liquid food industry and co-organized by Messe München. The co-location not only enabled the sharing of visitors, but also improved the influence of both exhibitions in the food industry, offering added value to exhibitors and visitors likewise. The next analytica China takes place from October 31 to November 2, 2018, at the Shanghai New International Expo Center.